The Weingut HANS-IGLER is an Austrian family business since more than 50 years. 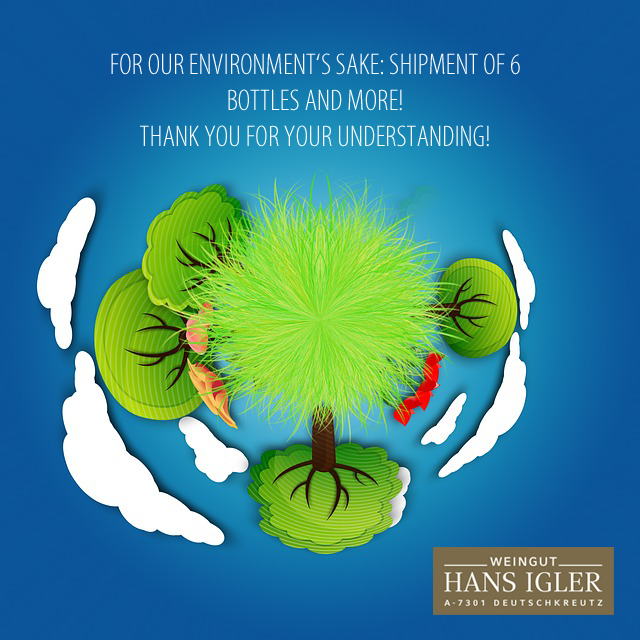 In the 1960s Hans IGLER and his wife Maria founded the Weingut HANS-IGLER with only 1 hectare and thus, an extraordinary success story began. Since then, the enterprise has grown to an area of 40 hectares of vineyards. At the end of the 1970s and the beginning of the 1980s, a time when many others still preferred quantity over quality; the red wine pioneer had already set his focus of attention on the quality of his wines. Especially the indigenous grape varieties, which had been cultivated for hundreds of years, were of great importance to him. Even today, the winery is specialised in growing red wine varieties – above all the most important one: the Blaufränkisch. Hans IGLER also took over a pioneering role concerning the use of original French oak barrels the first 30 of which he purchased in 1981 from Chateau La Tour in Bordeaux. His daughter Waltraud Reisner-IGLER, her husband Wolfgang and son Clemens are now following the regional path that has already been prepared back then. Focusing on a constantly high quality, they remained faithful to the motto: “Standstill is a step back”. The company’s philosophy has not been changing for the past 50 years and the basic guideline to never be satisfied with what you have achieved and always keep improving is still valid. The quality begins in the vineyards and they act accordingly. Their close-to-nature approach to viticulture (green fertilization, mechanical tillage, etc. ), low yields of grapes per hectare (by breaking off the shoots and thinning out the grapes, etc. ), a late and gentle harvest as well as the careful processing represent the basis of the quality wines typical of the region. Naturally, the know-how contributes to the success but also the meticulous handling of the product in the cellar in order to develop the quality in the best way possible, makes its contribution. In the future, Clemens Reisner, son of the family, who has been responsible for the cellar since 2010, is planning to focus even more on the indigenous red wines from the Blaufränkischland, with their individual characteristics, and promote their deserved place on the international basis. Not only does wine culture happen in the bottle, but also ON the bottle. Hans IGLER was the first to realise that and again has played the part of the pioneer again: Thus, the first row of labels in Austria designed by a famous Austrian artist, Professor Anton Lehmden, came into being.